Accepted by all North American Oat Millers. 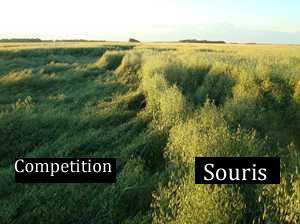 . .
Souris has higher soluble fibre, and less oil content that the average oat. This makes it vary attractive to oat mills. We have found on our farm that Souris provides us with an early short strawed variety that yields with the best and always has the highest test weights. 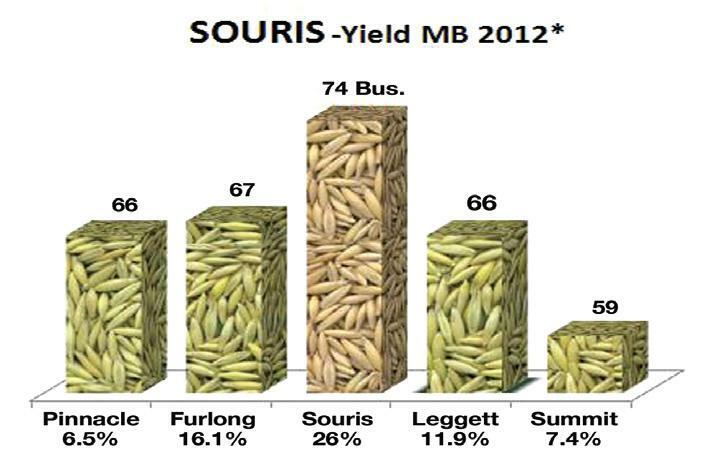 Check Out Yield Manitoba 2011 data: This is the “Real Farm Yield” results for all oat varieties grown by Manitoba Farmers. This was a very difficult year for all varieties, but Souris came through. Percent of acres in Manitoba in 2011.